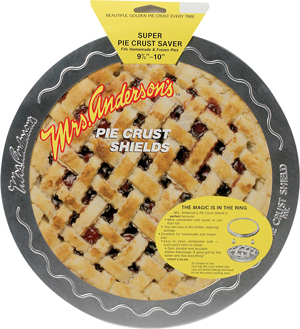 This pie shield is designed to prevent burnt pie crust and reduce spillage. It is nonstick and dishwasher safe. Fits pies up to 9 1/2"- 10"